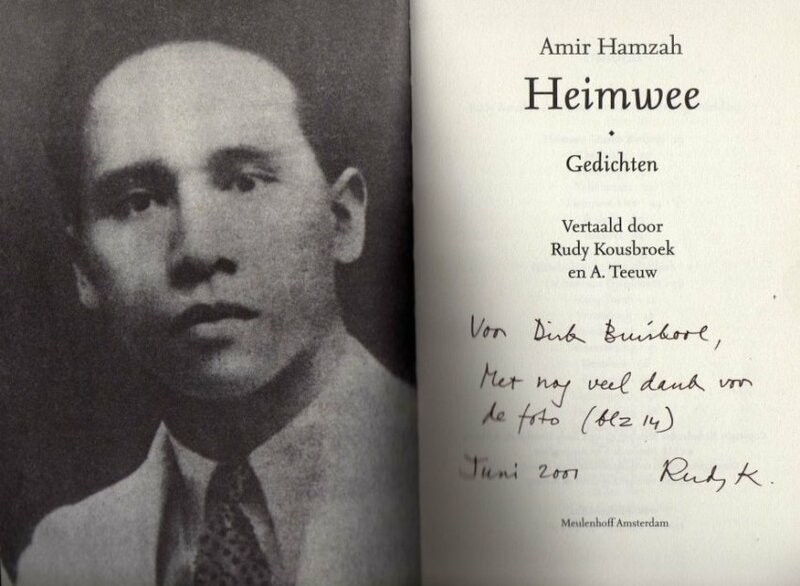 One of the most famous Indonesian poets is Amir Hamzah, born in 1911 from local nobility in Tanjung Pura, East Sumatra. In fact he was a Netherlands – Indien poet. Because he received Dutch education, he studied at a Dutch college, he read Dutch books and even his handwriting can be recognized as pre-war Dutch. But at the same time it was Amir Hamzah who established the basis for the modern Indonesian language. 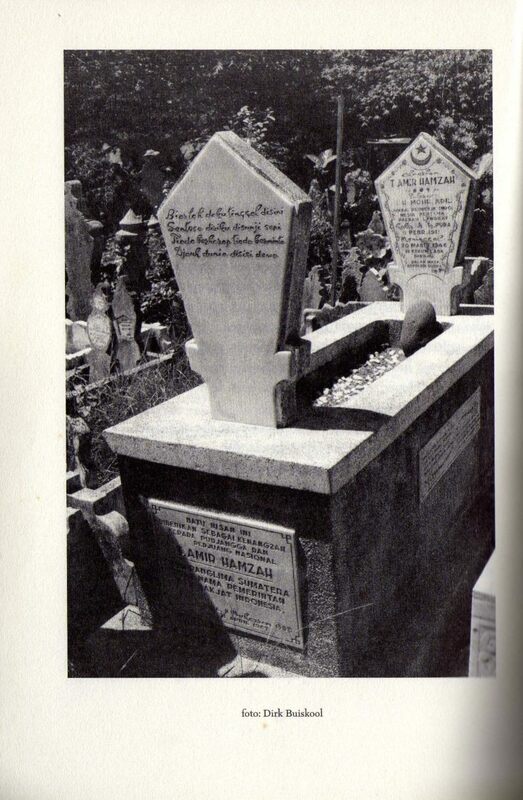 He was the poet who succeeded one more time to revive the classic Malay forms into a beautiful new poetry, the basis for the modern bahasa Indonesia. Amir Hamzah became only 35 years old: shortly after the war he was killed by young extremists. 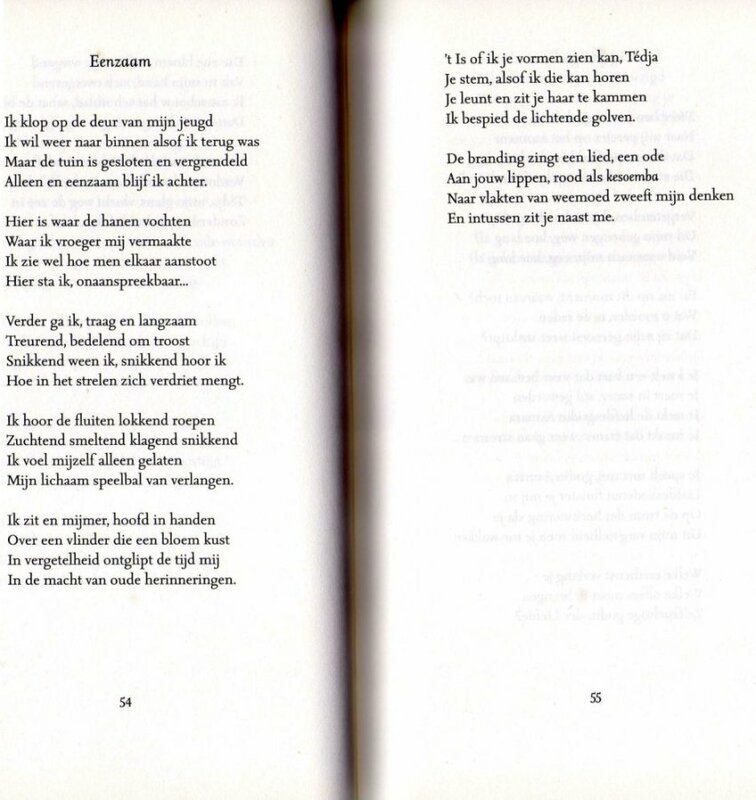 Still in the Dutch period he published two poetry bundles Boeah Rindoe – Homesick-, and Njanji Soenji – Loneliness. 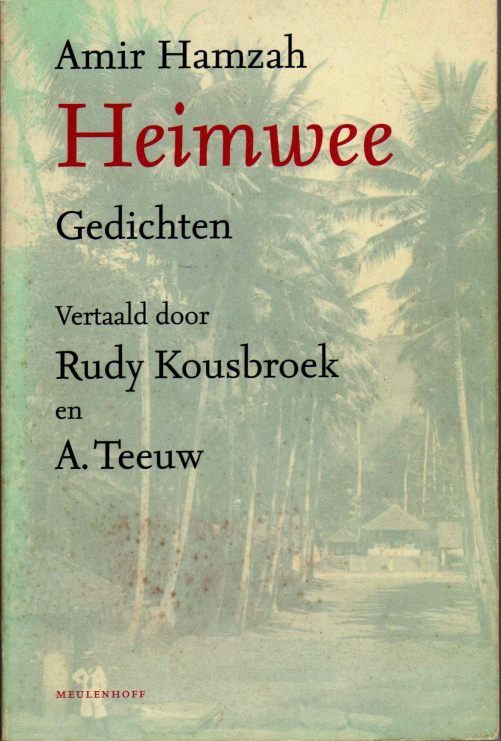 In the bundle Heimwee (Boeah Rindoe) (Homesick) were his poems translated by Rudy Kousbroek and A. Teeuw from Indonesian into Dutch. 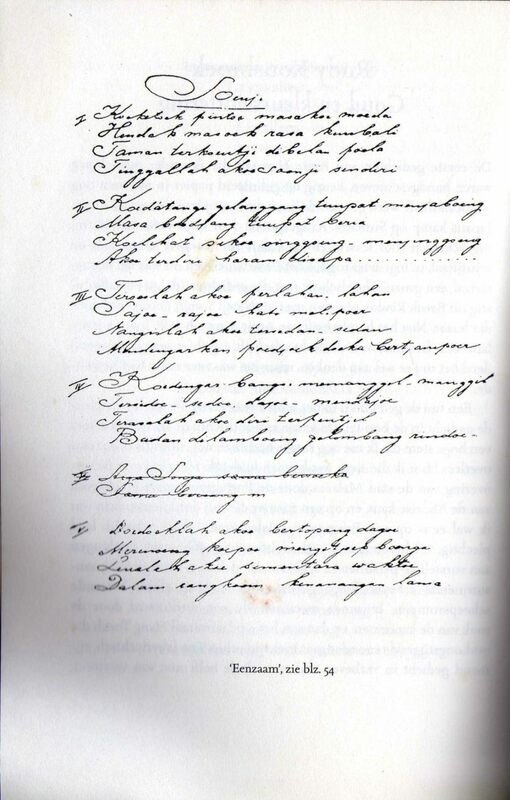 Professor of Indonesian languages at Leiden University A. Teeuw wrote an extensive analysis of his poetry. The bundle was introduced by Rudy Kousbroek, who grew up at East Sumatra and who was an essayist and author of books about literature and culture of the former Netherlands Indies and Indonesia. Rudy Kousbroek (1929-2010) was confronted for the first time with the poetry of Amir Hamzah as a child in the Japanese civil internee camp on Sumatra. Amir Hamzah’s poetry left an enduring impression on him.